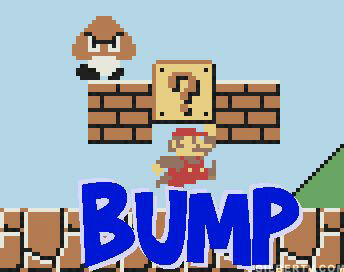 The beloved bump. Bumps are used as a term or method of reviving a thread that is either forgotten, old and left unnoticed, or unpopular, etc. However, when is it appropriate to bump a thread, and when is it not? Flag it and leave the thread without leaving an extra post that will exposure the thread to unneeded attention. The moderators will deal with the thread shortly. If all else fails then leave a comment to a moderator saying for them to lock/delete it, so that a moderator shall see the thread and lock/delete it. Keep in mind that you may bump a thread no matter how old it is, just make sure it is appropriate to bump that thread. As you can see, all of them are locked, thanks to our Comic Vine community. So, do your part and please flag or PM a mod if you see a spite/mismatch thread. These threads are usually made by trolls that have to do nothing with the Forum they are posted in and usually are extremely offensive as well as rude. They may or may not contain offensive language, racial slurs, attacks to certain people, and bias opinions continued with an aggressive attitude. If you see a thread with any of these please flag it, mod a PM, and do not comment on it. Misplaced threads are usually just good(or not) threads that are accidentally submitted into the wrong forum. Simply flag/PM a mod and do not bump it. Posting a comment that acknowledges the poster that "This should be in the ______ forums" would be much appreciated. An example of a Misplaced Thread is below. These threads are usually posted by a newcomer Viner trying to spread a message of a website and/or product. These are a nuisance and should be flagged for spam or private message a mod to lock/delete it. However, these are rarer and do not show up often, hence no example can be given. These occur when either an Internet glitch or server glitch as occured, causing a thread to be made numerous times. Simply flag the duplicate threads but leave at least one to stay. Thanks you added my JL Tourney. I vote that this is pinned to the front page, so that everyone must read it. Damn i should have put more though into mine. YNCG be expecting a pm. Mercy_ might pin it later but they might do one big mega Battle Forums Rule post and this will be added to it. She said to just post this for now. I was in that People I hate thread that guy was a freak!!! Yeah I know. Why did he attack you anyways? @YourNeighborhoodComicGeek: I told him Superman Vs Galactus is a stomp in favor of Galactus... And he went ballistic..
Superman I guess was his favorite hero.. Idk.. Earlier that day there was some bull sh!t. Switching and pinning this to Gen. Discussion because it's a great thread that applies to the full site. Wow, I remember most of these. Great post. My personal moral rule is that you should only bump a thread more than three weeks old if you have something really important to mention. If you just bump a thread to say "oh, this is cool", it's not worth the bump. Nice breakdown. Very good examples too. I'd add one little bit of etiquette, which is that (at least in my opinion), you don't reply directly to people who made a months-old comment in a bumped thread. In other words, let's say somebody made a comment in a battle two and a half years ago. Then the thread is bumped. Feel free to make new comments, but don't bother to quote or reply directly to that two and a half year old comment. That person may well no longer be on the Vine, and in any case probably has no memory of making the original comment! Just say what you have to say and leave the old comments alone. At least that's what I think. Nice thread,well worth the pin. Another sticky? isn't this already covered in the general rules anyway? I am very new to the vine but, I must say your site is very entertaining , the people are the most helpful of any art site , I've joined and your set-up is very user friendly ,keep up the good work. @oscuro: Bumping isn't an official function of the website. To bump a thread is to merely post in it (or someone else posts in it) to make it go onto the front page of a Forum Board again. I believe that I'm well known for bumping threads. I think a pertinent point to add. Forum etiquette would demand that aside from what's mentioned bump a thread only if it's one you intended to make because you wanted an answer to or to discuss it IF once you've searched and found it your questions haven't been answered. Another reason my be that recent changes to the characterizations or Lore of the players of the thread have cause a shift in the potential outcome. Again say why you think things may have changed. In fact I was at your birth. Bumping because this needs to be pinned. I'm getting tired of seeing 3 or even 5 year old threads being bumped. Hay @lol mind checking out this thread? Why is it such a sin to give my 2 cent meaningless opinion on fictional things on a 5 year old post? I don't understand you humans. Awesome! This is all the info I needed!